BAYONNE, New Jersey (WABC) -- A contentious public debate was held in New Jersey Tuesday night over a proposed plan to build a Muslim community center. 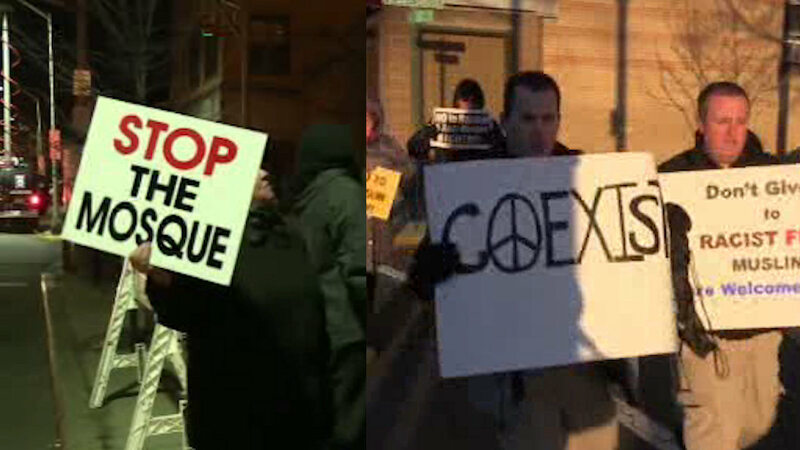 Demonstrators on both sides of the issue protested outside City Hall in Bayonne, before a public meeting to discuss the issue. Local Muslims want to convert a vacant warehouse on 24th Street into their community center. A zoning vote on the project is expected next week.